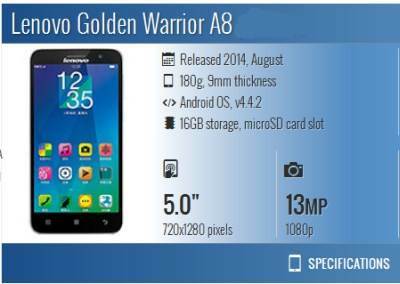 Lenovo Golden Warrior A8 is also known as Lenovo A806 users, who are looking to root their devices running on Android 4.4.2 official firmware, may follow our step-by-step instructions guide below. This rooting tutorial is applicable for all Android 4.4.2 Kitkat firmwares. Before we proceed, it’s important that we outline the risks involved here. Although in the case of the Lenovo A806 the rooting process is usually reversible, messing about with the inner-workings of your phone’s software immediately invalidates your warranty. To start the rooting process tap on the app’s main screen “Try to root” button. Once your the phone is rooted you restart the device and you have root access. To verify whether root has been achieved or not, download and install Root Checker form the Play Store. If you think that there’s something wrong with this guide and the procedure doesn’t happen, leave us your questions below this tutorial. We have a comment section there which you can use! I’ve tried the above, KingRoot installed and running, BUT,it keeps on 1% Acquiring Root and and nothing happens. This phone – the A806, is full of apps only written in Chinese. And as far as I can tell, I have no way to access the Play Store from the device because this thing is pointed at what I believe to be the Chinese Internet. Because of that, I cannot find kingroot.apk to download. Is there anyone who knows how to get around this part of the problem? Thanks!